As we get older, our face is one of the first places that we start to notice the change. We may lack the smoothness and volume that we once had, leaving us with sagging areas that look thin or unhealthy. Even for those of us who eat well and exercise, a lack of volume can leave us with a thinner looking face that causes loose tissues to look older than before we lost the weight. Facial contouring addresses the needs of sunken facial tissues when a facelift or injections aren’t enough. 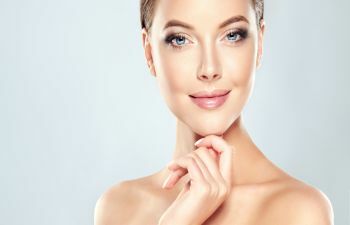 In fact, this particular type of cosmetic surgery actually puts fat back into the face, so that it fills out areas of sagging skin for a smoother, more youthful glow. Under the eyes in particular is one area where fat injections can be especially useful. If you have bags under your eyes or deep tear troughs, adding fullness to the skin above your cheek bones can help you look more energized and rested. But how does it work? It’s safe and simple. We remove a small amount of fat from elsewhere on your body (such as your tummy or thighs) and then process it so that it can be injected directly into the desired location on your face (usually under the eye.) The entire procedure can be completed with just a little local anesthesia. You’ll be back to your normal daily activities in practically no time at all! Facial contouring is a great way to bring out the best features of your profile’s appearance. Schedule a consultation with our Beverly Hills Oculoplastic Surgery office today to get started.